As the printing press fueled a transition from the Dark Ages to the Renaissance, Social Networking (SN) will be the transformation catalyst of our century. Johannes Gutenberg invented movable type to improve the production of books, which at the time were handwritten. He altered history. Seeing that SN could have the same power to enhance life as we know it—from personal and private lives to science, business, and culture at large—I have thrown open wide the gates of SN. As with any type of reformation, new ideas will encounter opposition, even violent reactions. Traditions and the philosophy-of-the-day are challenges to overcome. Sections of the population will fail to adjust; others will dedicate their lives to discouraging and resisting change. I don’t blame or look down on any who question today’s technological advancements, or changes. SN in particular. Resistance is natural, understandable. Sometimes it comes from personal discomfort—having to learn something new. Other times one is simply trying to make sense of SN in the confines of the corporate structure, assessing benefits, costs, risks and productivity. As with all things new, proceed with caution. But the operative word is proceed. I am a proponent of SN for a variety of reasons, both personal and professional. Although I will focus on the professional aspects, I do not subscribe to the theory that there is a distinct separation between the two. · Training. All over the country we are implementing electronic health records and other disruptive technologies. One significant barrier common to all is a lack of basic computer skills, especially amongst older workers. I speak with many clinicians and I can tell you that those active with SN have an easier time adopting computer related technologies. The fear of the unknown has been removed. So, if it’s FaceBook that helps them to grow comfortable with how computers work then let’s be friends! · Recruiting. My division reaches out purposefully through multiple SN media. We have already recruited a couple individuals via FaceBook and LinkedIn. Potential candidates see our organization as innovative and our leaders as active with SN. They capture a glimpse of the culture and openness. Our institutional Fan Page has also drawn many, and sharing the benefits of a career with our organization on YouTube and Twitter is also bearing fruit. · Employee Engagement. Transparency accelerates relationships and engagement. This past week, one of our 18,000 employees reached me through the chat feature of FaceBook. In summarizing her words, this person saw my profile and determined that I was safe to approach. She shared with me some circumstances in her life, and I was able to help her. This interaction significantly exemplified the promise our organization holds dear: “Individuals caring for Individuals, Together.” Since we have moved towards a virtual office environment, SN keeps us connected with one another. We can see what is taking place in each other’s lives so when we do meet, we can skip the small talk about weather and touch on more meaningful subjects. · Educational Community. Weekly, someone reaches out directly to me for assistance. If asked questions specific to medicine that I can’t address, I connect them to the proper authority. Other times, I’ve assisted college students with projects related to healthcare information technology. On the receiving end, I regularly access information about the latest in our field that helps me develop professionally and add direct value to my employer and customers. I have greater choice and flexibility in how I aide my development. · Transformation. We need constant input of various sources to enable transformation. The confluence of ideas and innovations is what often lead to a Glorious Mashup. SN is the ideal tool to receive and share a wide variety of information that will lead to the next small and big change. I process and apply what I take in on a daily basis. With SN there are no limits or boundaries. · Culture. As much as we resist, we have new generations entering the workplace and they are looking for a new kind of organization and leader. SN is an effective venue to demonstrate the transparency, flexibility, and collaboration required to successfully compete for talent. Fear—the root motivator that causes administrators to seek tighter controls. Choruses for restrictive policies often become the norm. Critics cite loss of productivity, too much openness, and security risks as reasons to abstain. Resistance based on these judgments doesn’t outweigh the benefits. Check what’s happened recently in Iran. Leaders can no longer legislate values or write policies to seek control. People are relying more on influence and leadership than on strict rules and regulations. The road to SN is frustrated by hedges of fear and hurdles of tradition, thus a CIO needs to lead the way confidently and smartly. Follow generally accepted SN guidelines as you advance through the opposition. Expose the lack of understanding in institutions stuck in conventional wisdom of the past. Still hesitant? Consider a recent exchange I had with a CIO colleague who works where SN is forbidden. I sent him a birthday greeting via FaceBook; he replied shortly thereafter. How? Via his handheld of course! Even where SN is shut down, people still find ways to engage. The advanced world is moving towards SN. No one can stop it. Don’t be left behind. Worse yet, don’t let your organization fall behind. Lead the way! I dreaded visits from Battalion HQ. Bravo Company operated fine without big brother coming down and creating more work. As a twenty-year-old platoon leader, I had to gauge what level of involvement was beneficial versus what was busywork. I understood the need and benefit of our association with well-intentioned HQ, but at times, enough was enough before they only caused agitation. I made every effort to keep standard operation policies from becoming the frontlines. HQ existed to help my troops complete their mission, not create diversion and roadblocks. I then recall with trepidation my promotion to Captain with orders to HQ. As the Battalion Motor and Movement Officer, I was responsible for the readiness and mobility of the 40M dollars worth of vehicles in our five line companies. Operating my unit and making sure our companies were prepared to deploy at a moment’s notice while contending with the inherent HQ bureaucracy of my position was tough. Over time, I became…one of them. I found myself so focused on my HQ efforts that I lost site of the reason for my position. I was building a world-class organization and process but inadvertently choking our line companies agility required for mission execution. Those Army leadership experiences shaped my belief that corporate exists to serve those who did frontline work. As our country emerged out of the American Revolution, similar conflicts took place. Our young republic was deeply concerned about the national government growing too large and powerful to the point of snuffing out state rights. Conversely, federalists were worried that too much state independence and freedom would unravel the fragile democracy. Perhaps the greatest balance was brought forth not by the constitution itself, but in the principles espoused in the Federalist Papers. Two hundred years later, these papers still carry important lessons and ideas for corporate America. They help bring perspective and balance to the relationship of corporate HQ versus line company relationships. It’s easy for those of us who hold HQ positions to forget that we exist to serve line companies. In healthcare, the frontline is anywhere care is delivered. In a single hospital, clinics and departments see patients. 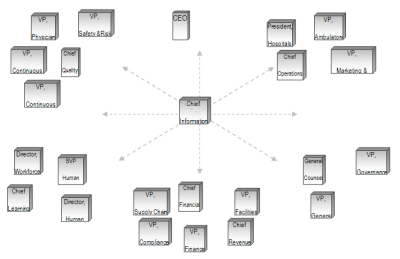 In multi-hospital systems, the hospitals themselves interface with patients. I continually struggle with this reality. In and of themselves, the strategies, structure, and process I create are important. At the same time, they become hurdles too high for frontlines to jump, therefore impeding progress. When HQ is physically separated from the frontline, the challenge is exasperated. In such cases, be extra vigilant. Beyond government/accreditation/safety mandates, are your requirements perversely impacting clinical care? Beyond government/accreditation/safety mandates, are your requirements perversely impacting revenue? Many governments, armies, and companies grow the complexity of HQ at the expense of frontlines and eventually lose their sense of purpose. Their pride turns into arrogance as HQ shines brightly, yet the dull of the frontlines quickly tarnishes any fleeting glory. I plead guilty on all counts! Balance is a must. Once you become more concerned with your area performance than with frontline success, you have lost your reason for existence. To Teach, To Heal, To Discover—Six words that captured the essence of the mission of the academic medical health system where I served as CIO. Along with our affiliate Case, we consistently ranked in the top 10 of NIH grant awardees. We had the infrastructure, bench, and leadership to move quickly on opportunities and maximize value. Non-academic centers attempting to secure grant funding faced incredible odds against giants like us. We grew at their expense. Grant-funded organizations are well-oiled machines. Today, I serve in a largely non-academic, community hospital based environment, but our vision is equally compelling. As ARRA/HITECH releases numerous incentives and billions in grants, academic centers are best prepared to apply for and secure those dollars. They have the infrastructure, primary investigators, and experience that granting organizations look for. But are they the venue best for accelerating innovation? I’d argue that community hospitals are the “new” best venue for taking ideas from bench to bedside. Community hospitals don’t have costly infrastructure, professional staff overhead (whose sole focus is securing grants and conducting research), nor the incentive to keep applying for grants. Rather, community hospitals operate on the frontlines. They can accelerate the pace of change by bringing forth products based in the reality of where the majority of care is delivered—the non-academic settings. Am I saying that great contributions from academia are futile? Never! But, it is time to purposely expand grant opportunities to include community hospitals. Shortcomings in the community hospital model are easily overcome by forming collaboratives with other members of the healthcare community. For instance, in our market, we have created joint applications with area universities, vendors, and governments. Where we are weak, our partners are strong, and vice versa. Our broad-based applications include multiple stakeholders. Grants pursued will lead to a practical application of technology that can be adopted universally, not just in one particular institution. Community hospitals are leaders in the adoption of modern HIT. At Texas Health Resources, we have surpassed many academic contemporaries in areas such as CPOE and quality outcomes. Davies and Baldrige winners are largely non-academic. HIE leadership in our area is driven by community hospital management, not academia. While “rock star” CIO’s often come from academic institutions, they largely play symbolic, albeit, important roles. Traveling, speaking, and creating vision. Whereas community hospital CIO’s are typically close to the ground dealing with the practical realities and bringing translational research leadership to bear. Both types of organizations have an important place. As government and non-government agencies begin the arduous process of selecting grant applications, my hope is that they will understand the importance of funneling some of the dollars towards community hospitals and accelerating HIT adoption. Spring Break of ’88 began well. Free tickets to Kauai to visit my in-laws and introduce them to our baby boy. During his grandparent cuddle time, my wife and I made our way down Kauai’s north shore to get an intimate look at the magnificent Pacific. We took advantage of a photo op before heading back up the lone path. I stood at the edge of the rock several meters above the ocean surf. I smiled, said “cheese,” and a second later, we were both overcome by a wave that took me out to sea. Bloody knees, winter surf, rocky shoreline, I was in danger. Swimming parallel to the shore while outmaneuvering the breakers was not easy. Pummeling waves and the force of the undertow zapped my energy. I was scared. Gradually working my way closer to shore, I prayed the waves would not crush me against a wall of boulders lining the island. Three to four people met death that way every winter on Kauai. After much prayer, my feet touched solid ground. I scrambled up cliffs before the tide reclaimed me. Although I’m an active tri-athlete, I’ve purposefully avoided the ocean. I’ve tackled lakes and rivers but never the open sea. I’m still afraid. Then an opportunity opened up for me to race in one of the sports foremost events, Escape from Alcatraz. I considered passing it up but instead said yes. If I didn’t face my fear, it would own me. On June 16, I hope to make swim way across the San Francisco Bay, avoiding all sharks and undertows. I once feared public speaking, too. Now I love it. Despite a familiar nervousness that arises before each gig, I press on. To practice and hone the skill, I now look for speaking opportunities. I feared challenging business peers, respectfully, of course. After I overcame that, I conquered a fear of challenging my managers. Iron sharpens iron, as they say. We experience growth by pushing each other onward toward a greater purpose. Many who feel “stuck” in their careers are likely limiting themselves out of fear. Are you afraid to rock the boat? Do you comply dutifully with every request even though you know a better way? One way to accelerate your career is to continually pursue growth; second, is a willingness to combat fears—not letting the own you. Do you fear getting fired for speaking up? How about being wrong or laughed at? I’ve been there, too. Others fear success and the additional performance expectations that come with it. Embrace your fears. Confront them. Then experience freedom. One of my present fears is dancing an entire song with our Argentine Tango instructor. I can handle learning an individual move, but the pressure of a complete dance with an expert just kills me. I sweat. I forget how to speak. I even forget the move we just learned. But I’m smart enough to understand that unless I tackle this head on, my skills will not grow beyond what I know today. And that is unacceptable. I won’t tolerate complacency. You shouldn’t either. Reflect and write down your fears. Be brutally honest with yourself. Then attack them one-by-one, with purpose. You will be amazed at the results. And I’ll bet you’ll find you’re not alone. Not only will you grow, but so will your family and employer. My family will host our 6th foreign exchange student this Fall. Anne will join us from Germany and stay through the academic year. Our “extended” family has expanded over the years, and these former students are now doctors, teachers, and actors. We keep in touch with several of the girls and have even visited a couple here and abroad. The experience of a single exchange—the families, students, cultures—has enriched our world. 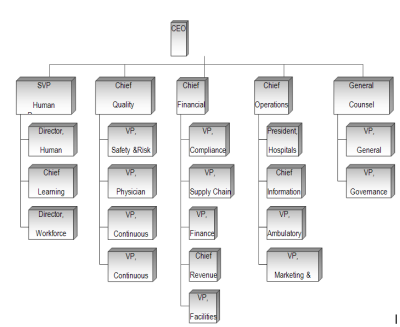 I serve on the global healthcare CIO council for a fortune 50 company. Each year a dozen of us gather from around the world to help drive corporate strategy. We get a glimpse into the future and where the industry is headed as it relates to technologies on the horizon. We share challenges and solutions. We commiserate. We learn. We advance the corporation, our employers, and ourselves. It is rich. I gained more from this intimate exchange than I could have attending a week long mega-conference or reading a year’s worth of subscriptions. I established relationships with 11 peers who I can call on as needed. We forged budding bonds through time spent together and found that we have a common burden and shared passion. Their diverse backgrounds opened my eyes to fresh thoughts and strategies. Some of us have already exchanged additional ideas and materials to further our organization’s success. The council sponsor benefitted and they will develop enhanced products and services to meet our future needs. Our employers will benefit from this investment as we bring back executable ideas for both strategic and operational advancements. And I, like my peers, have personally benefited through this mutual exchange of ideas, cultures, and personalities. May sound trite, but I believe the world is a better place now. Seek opportunities on different levels to share in global exchanges. I’m looking forward to what we’ll learn from Anne this forthcoming school year. Now I believe even this is passé. Then I smugly considered myself advanced as an executive who worked at home two days per week. Whoa, what a concept. Lately I’ve wondered why do I have an office in the first place? I asked the same question of peers and staff and received many reasons why we couldn’t possibly liberate ourselves from the box. I have yet to hear one reason that I couldn’t logically counter. I’m all about forcing myself to learn new ways of operating and leading. I’m also into adopting and leveraging emerging technologies. But now I must commit to expanding self-imposed boundaries. Pushing the organizational culture. Releasing myself—and my staff—from unjustified fears. A healthy leader spends little time boxed in an office. We’re out visiting our customers and our people. If you’re worried about losing contact with your staff, read Staying Tethered to a Disconnected World. At home or, anywhere outside the box, I get more done in less time. That leaves margin to network with staff, round more with customers, and focus. Let’s ignore for a minute the actual cost of building out space and look at the operational budget impact. Average office space costs might range from $20-$40 per square foot per year. Assuming your office is 200 square feet, that is $4,000 – $8,000 per year. In the 24x7x365 world we live in, what is your percent occupancy time? It should be tiny, probably under 5%. Now expand this analysis for your staff and your entire office footprint. The amount of waste is self-evident. On March 31, I’m turning my rhetoric to action and entering a month-long trial with my courageous Chief Medical Information Officer. We will shutter his office and share the space formerly known as the CIO Office. We’ve already eliminated office phones. For the times we do need physical space—or so we rationalize—we will have one. Otherwise, we’ll conduct our business from our “virtual offices.” Armed with mobile devices, we carry with us everything we need. Our office is us. Not some physical space with borders. Presuming a successful trial, this will become our method of conducting business. I’ll expect my direct reports to follow, and we’ll go from 5 offices to 1. I envision a cascading effect throughout my division. We will save close to a half-million dollars for each floor we clear. Employee satisfaction, productivity, and retention will climb. You can’t reach a specific benchmark, get the tattoo to prove it, and then stop evolving without losing relevance. If you don’t believe it, reread Tradition. Politics. Be involved. Get out there and shake hands to further the cause of healthcare and your institution. Sometimes this means attending fundraisers for a politician who represents healthcare or for your city or state hospital association. Take part in advocacy efforts and help educate our governing bodies. Fundraising. Lead by example through the opportunities that come your way. Create margin in the household budget. In addition to established opportunities, we created our own annual IT fundraiser for a children’s hospital that raised over $100K this last year. Parties. Important social gatherings pop up often, and attendance is not always voluntary. I started out naïve; now I own a tux. Appointments. Consider these an honor and an opportunity to give back to the larger community. I have held very formal State level appointments as well as less formal city and county appointments on behalf of my employer. But don’t be a wallflower. Speak up, invest yourself to further the cause. Otherwise, don’t bother accepting the position. Boards. Many organizations are in dire need of talented people to help provide direction and ensure accountability. These Boards can range from an international for-profit corporation to a local, not-for-profit homeless shelter. Always check for potential conflicts of interest first. Task Forces. Often times these are directly related to healthcare but in a broader community sense. For instance, you might join a task force to research the feasibility of a regional HIE. Advisory Councils. My all time favorite was serving on the College of Design and Merchandising (fashion) Council at Colorado State University. I was the only non-model, non-designer asked to join the judging panel at the annual fashion show. Lights, models, cameras, crowds—and me sitting at the runway’s end with a tie that didn’t match my suit. Professional Associations. It’s critical to remain actively involved to advance our profession. I have served on several national HIMSS committees and as State Chapter President (TN and OH). I have spoken on behalf of HIMSS and CHIME throughout the country. Speaking & Publishing. There is a healthy expectation that we add to the body of knowledge by sharing best practices, evaluated experiences, and tangible results. I have spoken on behalf of and been published in and outside of healthcare. The bonus: it contributes to your growth. I admit it. I don’t like doing annual reviews. Few people enjoy them. Even fewer are good at them. I wish I were the anomaly, the freak. Sure, I’ve read all the theories and attended requisite training classes on how to make a review a non-event and make it productive. But this is supposed to be CIO Unplugged, right? Not CIO Fantasyland. Most believe they are a star and, whatever your rating scheme, they should qualify as the poster child for the “top box.” Many of us desire to be number one in all our endeavors. Though I do appreciate the self-esteem and confidence this attitude exhibits, can everyone be “top box”? Should they? Therefore, this post is as much encouragement to me as it is to you. Since it’s that time of year again, we the leaders are going to invest the time and energy to make the review honest and meaningful. You with me? 1) Spandex—man’s brutally, honest friend. If you want to know where you stand with weight management, pull on a pair. I can try to fool others in terms of fitness, but the single best test I have is spandex. Someone can tell me I’m fit, but when I see the rolls of fat hanging over the spandex… This sort of accountability keeps me on the right path. We need spandex attitudes in our careers to ensure our performance is in check. Give honest feedback even when it’s uncomfortable. You’re employee deserves to know the truth no matter how brutal. Nobody likes flab. 2) Satiate the hunger. While I did say we tend to believe we are top dog, deep down most of us long to improve. If I can give my subordinates one tangible thing to improve, most will clutch it like a pit bull clenching a bone. Imagine if your boss gave you one strength to focus on every year to help you move to the next level, and you really did something with it. You might become CEO! That annual performance review might start to look pretty admirable. 3) Break it down. Two years ago, I switched to doing performance reviews quarterly. This helped make the annual review less dreadful. When you’re tracking progress, evaluating, and encouraging throughout the year, there are no surprises to contend with. In fact, I leverage this same format with my manager monthly! I desire constant feedback. My recent annual review ended up uneventful, and I got a nice big bone to chew on. My final reminder to myself and a word of encouragement to you. Not only is it our responsibility to our organizations to give accurate and meaningful reviews, but aren’t our people worth the effort, despite potential discomfort? I love Broadway. One benefit of working in Cleveland for 8 years was our proximity to the crown of the city, Playhouse Square. Playhouse represented the largest theatre district outside of Broadway. We enjoyed the most famous shows as well as the emerging ones and even added our then pre-teen children as subscribers to offer them a taste of culture. Broadway struck me as remarkable considering my youthful idea of entertainment had been rumbling in a mosh pit in the day slamming to the Boomtown Rats, Missing Persons, and The Clash to name a few. Our first show was Fiddler on the Roof, the marvelously deep story of Tevye, father of five daughters. Tevye struggled to maintain balance when outside influences encroached upon his religious traditions and his family. His three eldest daughters inched aggressively toward abandoning the established customs of a Jewish marriage by choosing their own husbands, forcing Tevye to question their age-old practices. Meanwhile, the Tsar was working to evict the Jews from their village, Anatevka. Should Tevye stay and die fighting, or move on? He lived a precarious existence, like that of a fiddler perching on a roof. Between the future and…Tradition! This story connected with the fiddler in me, for I also lived in the tension between old and new. Between tradition and innovation. The good old days and the brave new world. When my family journeyed to the United States from Germany in 1975, we preserved our Bavarian traditions. I wore Lederhosen to school, and it didn’t take long to see that I was not up to date with the western culture. It took a while, but I finally convinced my boss—I mean Mother—to buy me a pair of blue jeans. Mom’s sauerbraten and spätzle, on the other hand, I’ll never give up, for those items have little eternal influence. Thanks to my youth experience, I have since kept abreast of the trends, culturally and in business. Desiring to thrive in my work rather than simply survive, I lean progressively towards the new and bold. It’s frightening at times to step into unexplored or unconventional territory. But the benefit has always been worth the risk. Imperfect and painful? Oh yes. But better to endure the flaming path of innovation than smother and die under the yolk of tradition. Sit back for a moment and assess your life. Then assess your department. Are you where you should be, or are you wearing Lederhosen to work? “But it’s my organization that lives in the obsolete world, not I,” you say. Yes, organizations are full of traditions and each has its own rooftop fiddler. Some traditions are important, yet many are simply tradition. Following tradition for tradition’s sake is exposed when groundbreaking ideas are presented, especially from individuals new to the organization. I pity the organization whose culture is steeped so deeply in tradition that attempts to introduce innovations and foreign concepts are summarily rebuffed, leaving that organization to smother, unchanged. Unfortunately, those passionate leaders who could help advance an organization into the latest fashion of blue jeans might get discouraged and leave. Or worse. They’ll allow themselves to be assimilated and acquiesce to tradition. In this day and age, technology is progressing at such a rapid pace that the IT leader cannot be timid in exploiting it. Do you want to make a difference or not? Do you remember why you got into this business? Are you staying true to that calling? Or have you been beaten down over the years by those who refuse to grow? For some of you, it’s time to resurrect the vision that once inspired your exuberance to change the healthcare world, to impact patient safety and the quality of care. We’ve got to care enough to not let ourselves become complacent. Whether or not you’re new to your organization, shake the bonds of tradition-for-tradition-sake and lead boldly. Just like Tevye’s daughters (Tzeitel, Hodel, Chava) you also must push forward. We can all glean from the character Perchik who tired of rhetoric and feel good culture and chose to blaze a new trail. Will blazing a new trail lead you to danger and possibly put your position at risk? Probably. But aren’t the advancements we fight for worth the crusade to bring about prosperity for our patients and employers? They are to me. I’d rather move on than wither under…TRADITION! Given my affinity for pushing myself physically (some would say punishing), I am proactive with prevention. For instance, 6 months prior to the Ironman, I underwent a battery of cardiovascular and VO2 tests to ensure I was healthy enough to compete at an elite level. Like most people, I am diligent about annual physicals and eager to compare my year-over-year results in order to make necessary, lifestyle adjustments. During my most recent physical, the nurse kept rechecking my pulse until I explained why it was only 40 beats per minute. The subsequent EKG put everything in perspective. The physician then put a smile on my face when he declared that the digital exam was no longer necessary given the advances in prevention and prediction. They drew blood, collected fluid, and I was out the door in less then one hour. Sweet. A week passed and still no test results. I thought, I could look them up myself if we had a personal health record deployed. I comforted myself with the hope that in a year or so we probably would. My assistant called the physician’s office on my behalf to check into the results status. After a few days of phone tag, the nurse urged her to have me set a follow-up visit to get the disturbing results in person. I immediately called the office and found that my lab results indicated serious issues from cancer to high cholesterol. I made the follow-up appointment. Sitting on the exam table, nervously awaiting the news, I contemplated my uncertain future. My wife and I were nearing the empty nest stage, and we had grand plans to exploit our impending freedom. I then thought about walking my daughter down the aisle some day. Will I still be around? I wanted to do an Ironman with my son and attend his college graduation. Trying not to let anxiety rule, I prayed. I left that appointment on an emotional rollercoaster. Relieved but angry, bummed yet hopeful—and highly sympathetic for the person with the terrible lab results. Then I contemplated the pushback, locally and nationally, on EMRs. The opposition cites the potential for automation errors. Excuse me? What about manual, paper-based errors? My experience only boosted my ardent sense of support for an EMR. I will push for automation because no patient should experience what I did when an antidote exists. My physician is now in the queue to implement an EMR. Demand the same of your physicians. Fight for patient needs. You are in the position to influence.